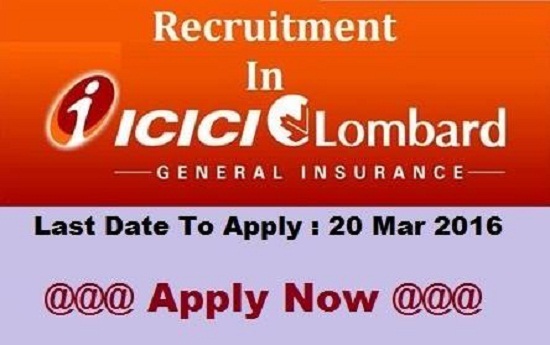 Are you searching for ICICI Bank company ? They have conducted huge registration for freshers and experienced candidates. Want to apply for it? Now check it below. ICICI Bank is India's largest private sector bank with total assets of Rs. 6,461.29 billion (US$ 103 billion) at March 31, 2015 and profit after tax Rs. 111.75 billion (US$ 1,788 million) for the year ended March 31, 2015. ICICI Bank currently has a network of 4,050 Branches and 13,180 ATM's across India.